Two Thanksgivings ago, Albert the turkey was destined for the dinner table. At the California farm where he was raised, customers could pick out a live bird to be butchered and cooked for their holiday feast. But Albert’s fate would be different. Brant Pinvidic, a TV producer, showed up at the farm after hearing about the “pick-your-own” deal — but he knew right then that his birds would become his pets, not food. He brought home Albert, and a female named Princess, and set the pair up in a coop in the yard. That Thanksgiving morning, Pinvidic let the birds out for a stroll and they happily sauntered around the neighborhood, pecking at the grass and stretching their legs. But while Princess was happy exploring on her own, Albert was so overjoyed that when Pinvidic knelt down in the yard, the bird ran over and leapt into his arms. This was only the beginning of an amazing friendship. Before the California family knew it, Albert was following them into the house and begging to be snuggled. 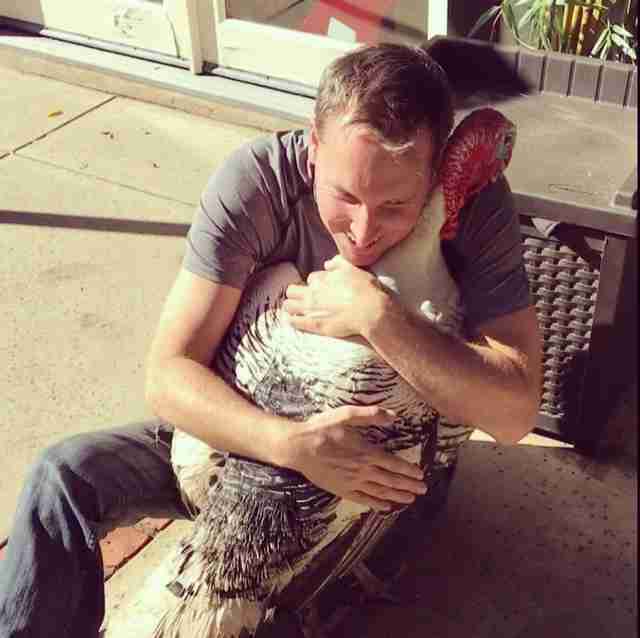 Naturally, Pinvidic welcomed the affectionate 25-pound bird onto his lap for hugs. Albert even became star of the family’s annual Christmas parties, greeting each guest and snuggling with kids. Albert quickly made his way into the hearts of everyone he met — and thousands of people online who began following his social media accounts. 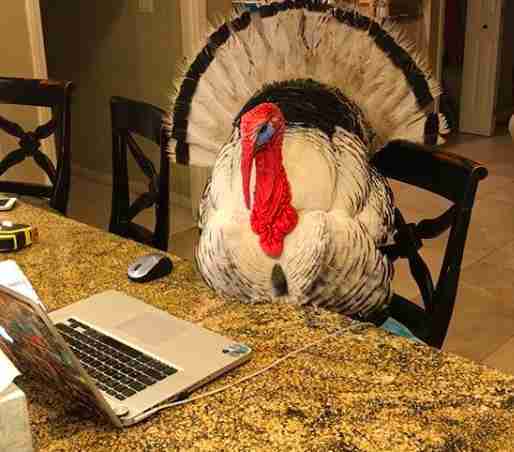 Pinvidic began receiving messages from fans daily, thanking him for sharing Albert’s life with them and for totally changing their minds about how they see turkeys. 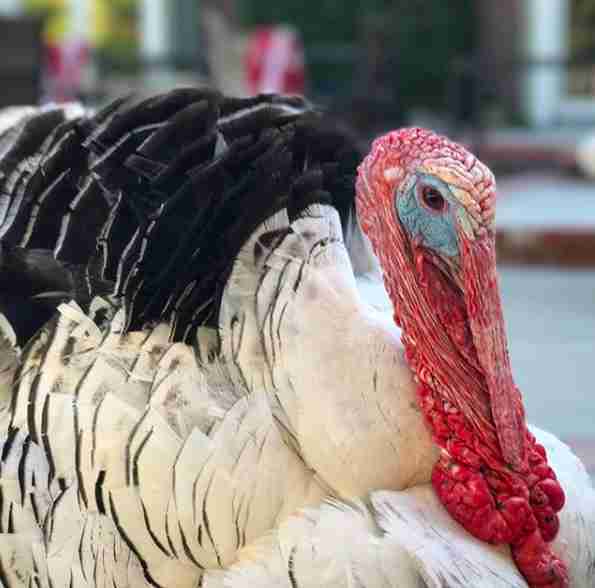 Albert quickly became known as “the world’s most lovable turkey,” because he simply loved socializing and getting attention. Albert was larger than life, and he spent every day as if he knew he had gotten a second chance. Above all, Albert loved his dad so much — and his dad even helped to raise Albert and Princess’ two babies from hatchlings. 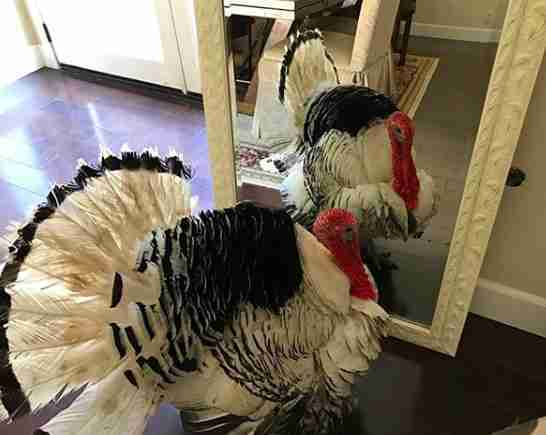 The rescue turkey family had grown, and in the process, they were teaching countless people about just how emotional and social these birds can be. But this Thanksgiving, just two years after Albert came into his life, Pinvidic is now met with the heart-wrenching question of how to possibly move forward without him. Last week, the family was faced with a devastating loss after a predator broke into Albert’s coop overnight. Albert, along with his partner Princess, their two turkey children, and the rest of the rescue flock were killed. Pinvidic not only lost members of his family, but one of his dearest friends, Albert. Their friendship, he says, meant everything to him — and the house just won’t be the same for a while. After Pinvidic rescued Albert, he founded an adoption network called Albert and Friends, which provides a loving foster home for at-risk animals until they find the perfect family. 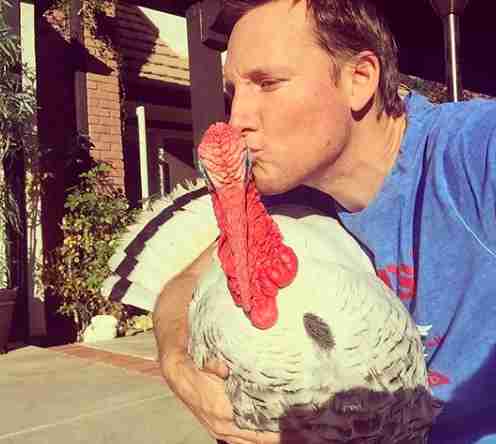 He’s found great homes for many animals — and this year, he has rescued every turkey from the farm where Albert was raised. Because of Albert, 40 turkeys will get to experience the same special love that he did, and live out their lives in peace. While the Pinvidic family is still coming to terms with the loss, they can’t help but think back on the amazing memories that Albert has left them with. 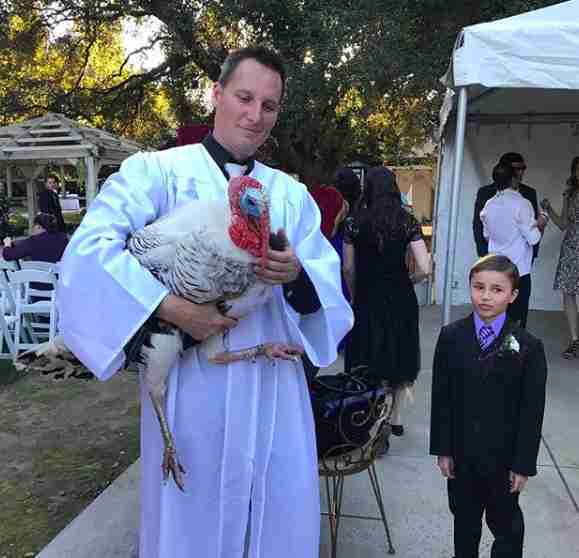 He was not just a turkey — he was family. And he never stopped showing just how thankful he was for his second chance.